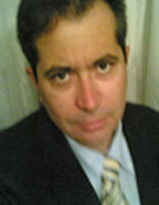 Christodoulos Akrivos is an Adjunct Professor at the Neapolis University in Pafos. He graduated in 1991 from the Economic Department of the National and Kapodistrian University of Athens. He holds a postgraduate degree from the University of Piraeus in Business Administration and a Ph.D. degree from the same University (2004). with a scholarship from the State Scholarship Foundation of Greece. During the period 1995-2012 he was Research Associate of the Athens Technological Educational Institute (today University of West Attica)) at the Undergraduate Departments of Tourism Management (1995-2004) and Business Administration (2005-2012). He has 12 years of distance learning experience as Collaborating Educational Personnel of the Hellenic Open University, where he continues to teach up today. He is Instructor at the National Center for Public Administration from 2004 to date in subjects of organizational behavior and administrative science. He was a member of the Board of Directors of the Panhellenic Association of Sports Economists (2000-2004). From 2011 until now he is the President of the Institute of Citizen’s Sustainable Development and Health who implements European Research Projects in collaboration with universities and organizations from abroad.